Cu-doped zinc oxide nanostructures are prepared by hydrothermal method. Scanning electron microscopy reveals that the ZnO comprises of rod-like structures while Cu-doped ZnO nanostructures have bunch-like nanorod assembly. Cu restrains the growth of rod-like structures due to the formation of other Cu complexes during the growth. X-ray diffraction patterns show that samples exhibit hexagonal wurtzite structures even at high Cu content. However, lattice parameter is seen to increase at high Cu content. Preferential growth orientation is found to change upon moderate doping. This shows a successful incorporation of Cu atoms in the lattice. The increase in lattice volume, change of preferential growth orientation and the shift of (002) plane peak suggest that Cu is incorporated into the ZnO host lattice. H. Salazar and R. Sarmago. 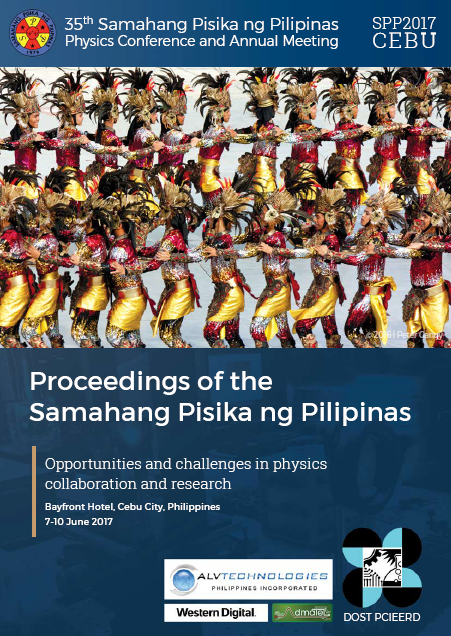 Influence of copper on the growth and structural properties of zinc oxide nanostructures, Proceedings of the Samahang Pisika ng Pilipinas 35, SPP-2017-1E-03 (2017). URL: https://paperview.spp-online.org/proceedings/article/view/207.